Looking for an alternative Valentines Day? 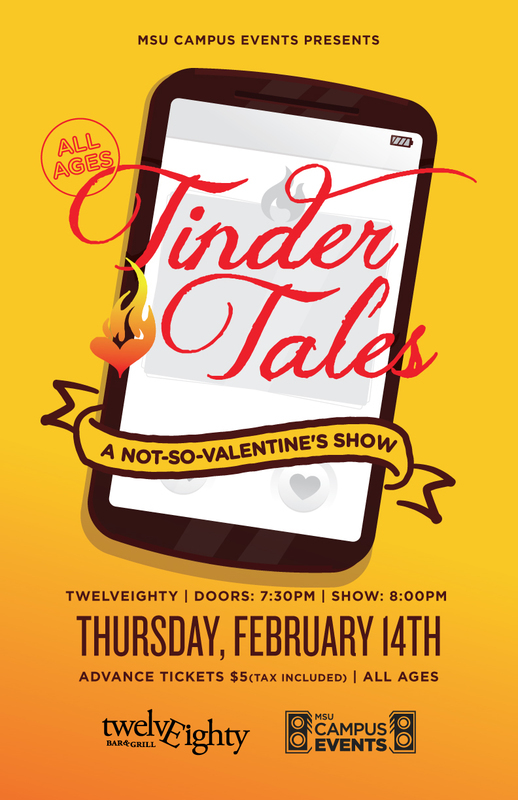 Join us for Tinder Tales: A Comedy Show in TwelvEighty Bar & Grill! This event features 7 great storytellings sharing their adventures on the popular dating app Tinder! Be prepared for a night of laughs and unbelievable stories! Learn more here: FAQ.